Local storage of the backup server. Direct Attached Storage (DAS) connected to the backup server (external USB/eSATA drives and RDM volumes). SMB 3.0 share (experimental support). 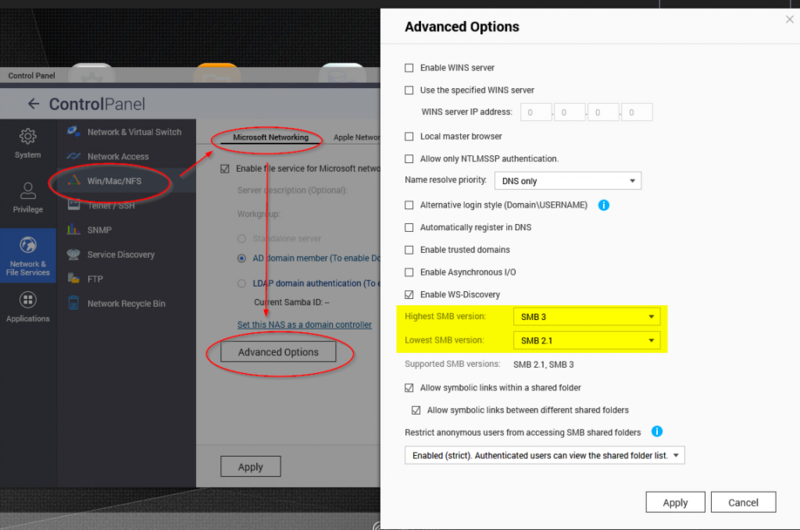 Server’s computer account must have write permissions on the network share. 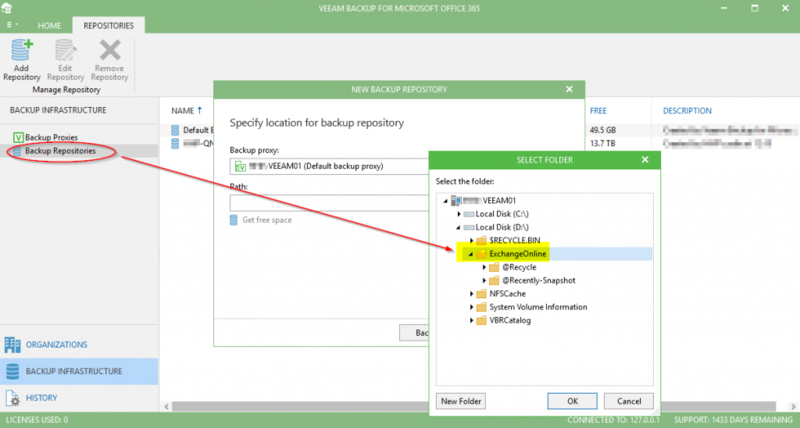 Once joined to the domain, open Active Directory Users and Computers on a Domain Controller, create a Group which contains the ‘Computer Account which has the Veeam Backup for O365 installed‘ and the ‘Service Account under which the Veeam Backup for O365 services run‘. You can add any other account you deem necessary of course. 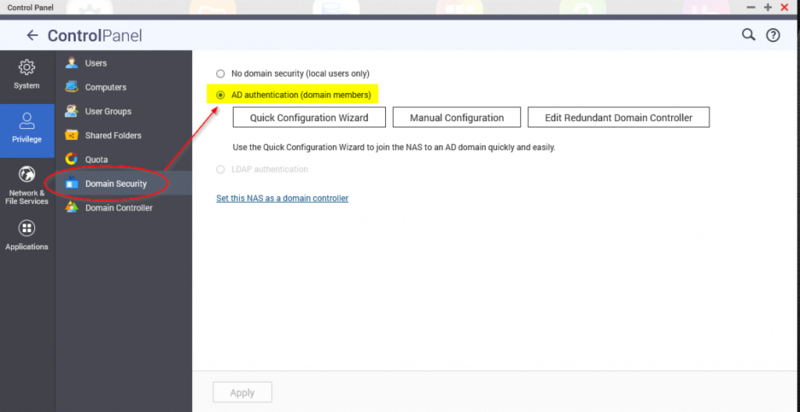 Next Enable Advanced Folder Permissions on your QNAP. 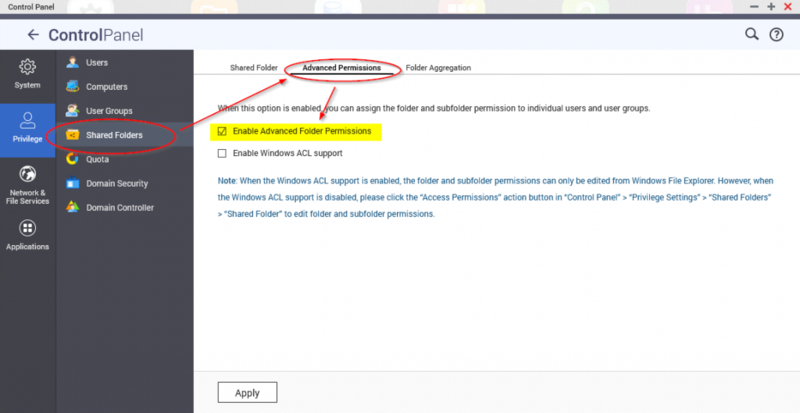 In Control Panel => Privileges => Shared Folders => Advanced Permissions => select Enable Advanced Folder Permissions. Next add both the Domain Group you created before and the Domain Computer Account and give them ‘Read/Write’ permissions on the share you’ll use to backup. 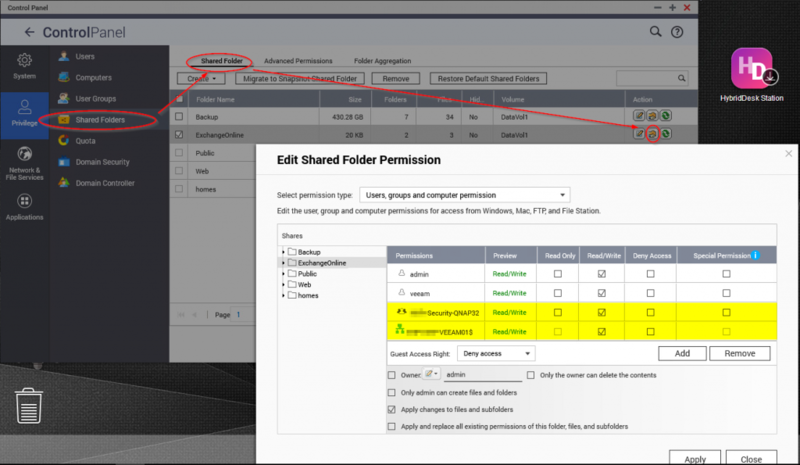 You do this in Control Panel => Privileges => Shared Folders => Shared Folder => Select your Folder Name and edit shared Folder Permissions.